This post was first published by My London on 06/04/2019. Nothing brings back the memory of Croydon clubbing’s halcyon days quite like the though of a pint of snakebite and black. 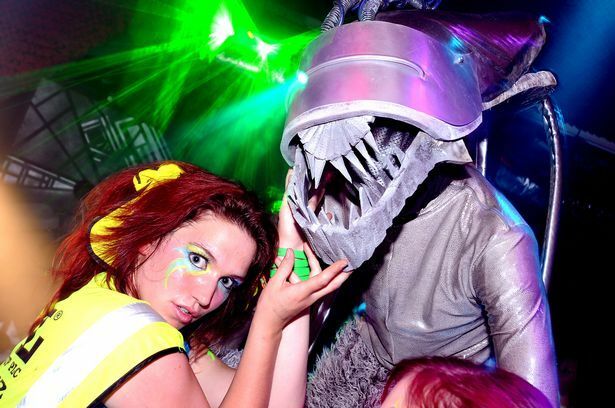 And there was only one place to be seen – the birthplace of dubstep, with lavish Hallowee parties and fetish nights. That’s right – the Black Sheep Bar in the High Street. It closed its doors for the last time on November 16, 2013 and is now a Polish supermarket. But for the regulars, staff and even the owner, fond memories of its 15-year history still linger on and raise a smile. The Black Sheep was owned by Paul Bossick, who then went on to run Bad Apple in Park Street before it closed down, and his father Howard. Originally the pair opened a restaurant on the site but, Paul explained, when they realised that wasn’t working out, they decided to turn the place into a bar instead. It opened its doors nearly 20 years ago at the beginning of February 1998, when Paul was just 26. “At the time, Croydon didn’t really have any [bars],” said Paul, now 46. “High Street bars came a little after. When they opened the bar, although it was always a bit different from other offerings, they didn’t set out for it to be the cult alternative venue the Black Sheep evolved into. “It was really a bar for everybody,” explained Paul. “It kind of developed into its own identity. It had a bit of an alternative edge but it soon had a following that had a different style [and] more extreme music. “It started to develop into its own image. The bar played a variety of music genres, from jazz to metal to dance, hip-hop and drum and bass. Louis Hunt, who worked as a supervisor at Bad Apple, worked at the Black Sheep Bar from 2003 when he was 19 until he left in 2013 just before it closed. Known to customers at the time as Lousifa, Louis has happy memories of his time at the Black Sheep as both a customer and employee. He said: “When I first walked into there I was 16! It was a huge part of my life. Even before I worked there. “It wasn’t just a bar for the people who went there. At the time (1999) all the bars in Croydon had strict dress codes and most even had an over 21 door policy. “The Sheep was different. For a grungy skateboarder who hated mainstream music and culture it was a true diamond in the rough, a mecca for the alternative youth of Croydon and not just Croydon. “I met people from Brighton, north, east and west London in the Sheep. Louis recalled big name acts in the world of alternative music playing there. They included drum and bass outfit Pendulum. “Basically, every drum and bass DJ from Hype to Groove Rider played the Sheep,” said Louis. Rock band Enter Shikari played the Sheep a few weeks before they were on the main stage at the Downland Festival, Louis added. Newton Faulkner, Raging Speedhorn and Ozric Tentacles all gigged at the Sheep too. And, for those who didn’t know, the Black Sheep Bar is regarded as the birthplace of the music genre dubstep. SGT Pokes from the DMZ dubstep label worked at the Black Sheep Bar before he went on to become famous, said Louis. SGT Pokes was the man behind the Sheep’s Croydub nights, where big names in the dubstep community would gather. Louis also fondly recalls the clothing fashions which could be seen in the Black Sheep Bar. “It was just kind of anything,” said Louis. “That was kind of the best thing about the place. It was full of individuals, not sheep, ironically. “If it was fashionable you can pretty much guarantee it would have been down the road at Lloyds or Tiger Tiger. Until dubstep got fashionable, of course. 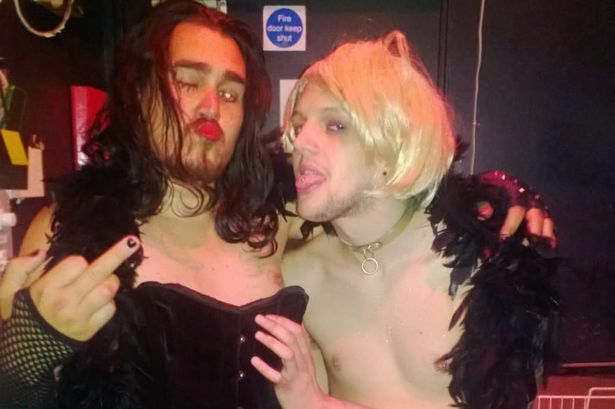 As well as live music, the Black Sheep offered comedy, burlesque nights and performances from drag queens. If you went there, you might remember the fetish nights or Halloween nights – as the venue would go to town with decorations. Louis was the man behind the fetish nights and said it is what he is most proud of. And if you went to the Black Sheep you probably drank a snakebite and black at some point. When asked what made the Black Sheep Bar so well loved by so many Paul put it down to its community spirit. He said: “In a bar it’s a rare thing. You get community pubs but you don’t really get community nightclubs or community music venues and that was what it was. The end of The Black Sheep Bar came when plans were submitted to convert offices above the bar into flats. Paul said the time had come to spend money on a refurbishment of the venue but with the prospect of the residential development above “it seemed a little fruitless”. With a loud sound system and the level of noise created by the Black Sheep, Paul knew the club wouldn’t survive underneath flats. At the time the developer told the Croydon Advertiser that the Black Sheep Bar could have remained there. Paul described how it felt to close the Black Sheep Bar. “It was a very upsetting time in my life – it caused quite a gap,” he said. The week after the Black Sheep closed Paul was faced with dealing with phone calls from the public, press and even the police. He said: “Even the police called to ask, ‘What have you done?’ People even complained to the police about it. “Social media spread the news very quickly, far and wide. These days, Paul looks back fondly on his time at the Black Sheep. He said: “My Black Sheep days are the best days of my working career, I think. There was so much fun and I made a lot of friends and my own little place in Croydon.